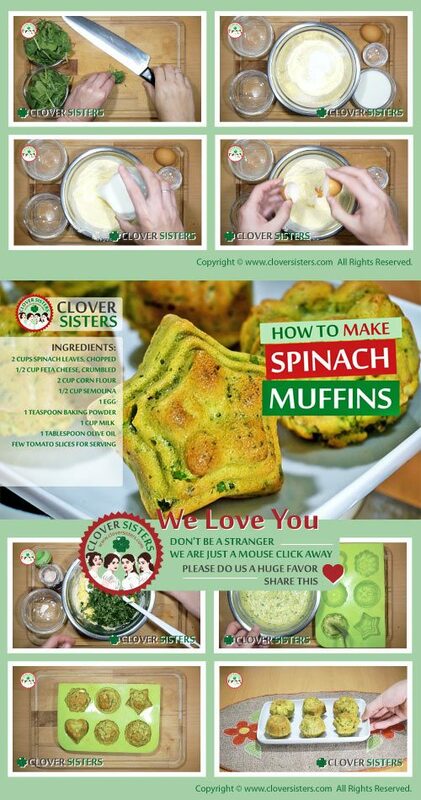 Great way to make kids love spinach is to incorporate it into adorable food like muffins. 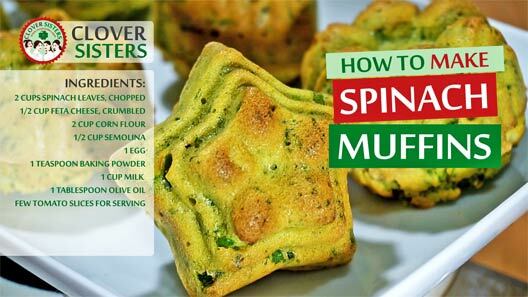 Spinach is actually very tasty, with just a little bit of effort, kids will learn that spinach is not just a mush like in their kindergarten. Few tomato slices for serving. Mix the flour with baking powder, then add milk and egg and stir to incorporate. Add the spinach, cheese and olive oil at the end. Fill the molds to 2/3. Bake in oven preheated on 350 F (180C).